Roxtec / Pharma and chemical industry - Glob-Prot Kft. Because of potentially explosive atmospheres of manufacturing processes cable sealings have high priority in chemical and pharma industry. 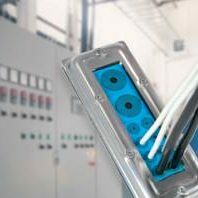 The huge need for electricity supply and the high level of instrumentation sometimes generate demand for certified sealing of several hundred cables. 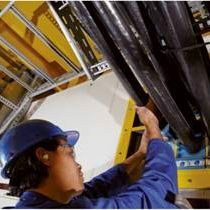 The relative frequent maintenance periods require easy-to-install and variable cable transits. Roxtec is an ideal solution for sealing cables between different classified ATEX zones and in case of fire partition walls. Roxtec provides stainless steel (AISI 316 material quality) frames and metal parts for heavy environments of the industry. Modularity is very useful when number of transited cables increase, for example when installing new production lines. In case of walls fire, gas or waterproof sealing can be the demand and also ATEX certification. Roxtec meets all of these requirements, separately or together.